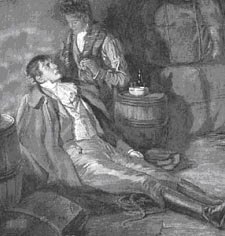 The Caribbean History Archives: Roume's last moments – A fictionalized version of the death of Roume de St. Laurent, containing factual elements of his life. Roume had a mulatto son, Jachin de Sainte-Rose de Roume de Saint-Laurent, Marquis de Sainte-Rose, compte de Saint-Laurent, the name he signed as Sovereign Grand Inspector, 33e. Adjoint Sovereign Grand Commander of the Supreme Council of the Western Hemisphere, New York, 1834. Some more information would be welcome.